Are you a diver or would you like to learn? 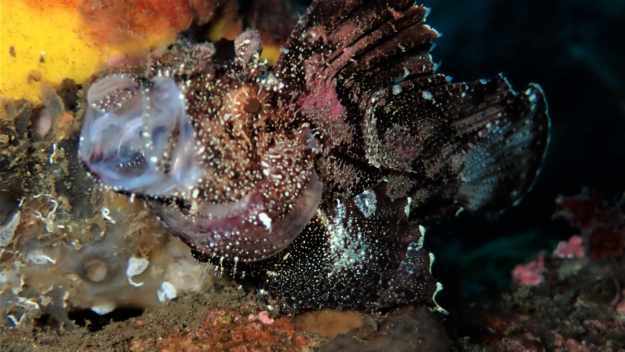 Diving in Bali is diverse and varied. Whether you are an experienced diver or a beginner you will get your money’s worth. We offer daily diving courses in small groups. You are culturally interested, and would like to get to know the country and its people? If so, Bali is the ultimate holiday destination for you. Allow us to take you with us, let us show you the fantastic underwater world of Bali and let you be enchanted by art and culture, charming villages, green hills, volcanoes and Bali’s beaches. Situated in the northwest and northeast of the popular holiday island, our four dive centers and resorts are designed to appeal to every type of recreational activity. The prime location of our resorts offers the opportunity to explore the entire north, both underwater and culturally. The following text tries to give you an understanding of Bali’s appeal above and above all under water and to answer questions that are frequently put to us. There are countless dive sites all over the island. The biodiversity is almost inexhaustible. This is primarily because Bali is in the middle of the Indonesian Throughflow, the “Arus Lintas Indonesia”. These are enormous ocean currents that move water from the Philippines in the Pacific in a southerly direction to the Indian Ocean. It carries vast amounts of water and the planktonic larvae living in the water are thus deposited in the coral reefs around Bali, for example. As a result, there is an incredible abundance of marine life, not only Macro, as so often referred to, but also big fish. 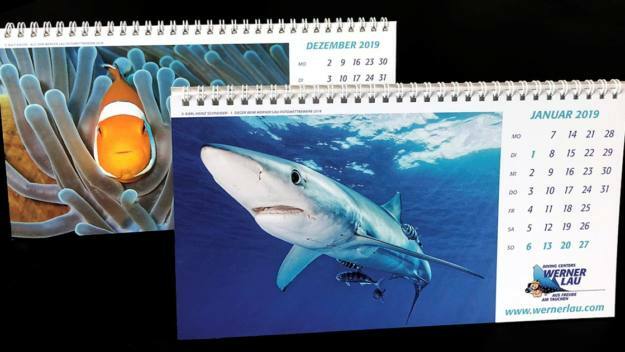 There are year-round Mantaspots, you spot sharks whilst wall diving and the legendary moonfish – the Mola Molas – which are spotted frequently, especially during the months from July to September. The Menjangan Underwater National Park is one of Bali’s most beautiful dive sites and is part of the Bali Barat National Park. It is a true paradise not only for the macro enthusiasts. It offers sheer walls and beautiful coral landscapes with lots of fish life and a good chance of big fish. Directly in front of the dive center at the Pondok Sari Beach Resort in Pemuteran, there is one of the oldest and largest coral growing projects in the world. Wire cages are positioned at a depth of 3 to 7 meters, through which a slight electrical voltage flow. If touched, this is not a danger, however the corals grow four to five times faster than elsewhere. The reef project merges perfectly into the natural reef, which is approximately 20m deep. Also northwest of Gilimanuk is the famous dive site for all Macro fans, Secret Bay, a true Eldorado for underwater photographers. Here the so-called “Muck Diving” or mud diving takes place. 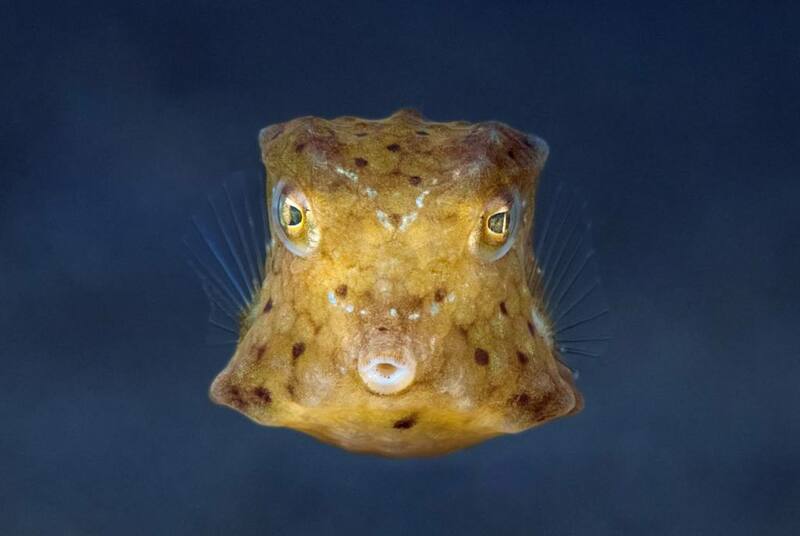 Frogfish, tiny octopuses, ribbon eels, seahorses, all kinds of nudibranchs and many, many more species of the tiniest of creatures are resident here. This is the diving region around Alam Anda and Siddhartha on the east coast of Bali. There are many local dive sites that we can reach by boat or car and that can be dived from shore. We generally start at 8:30am and 14:30pm from both the Alam Anda and Siddhartha to the diving sites in this region. 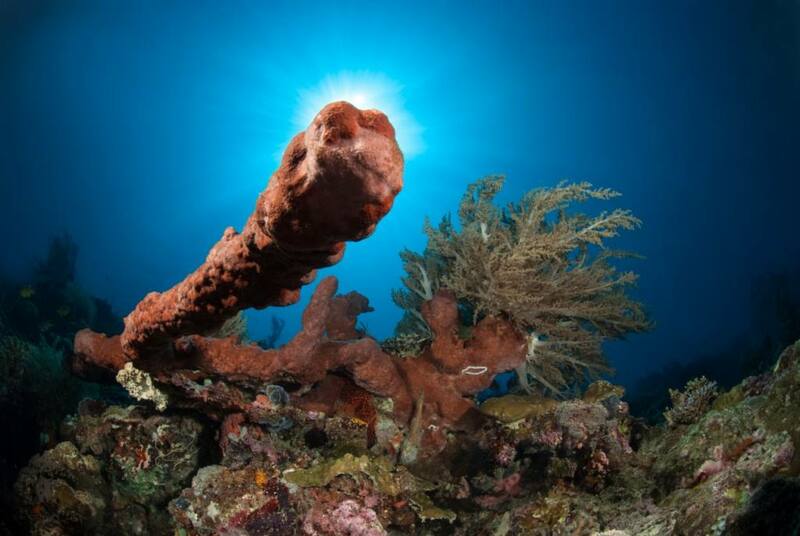 The two resorts also have fantastic house reefs that promise unlimited diving fun. You could dive here almost around the clock. We strongly recommend night dives. Siddhartha’ s house reef is also home to the wreck of the Boga. An Indonesian patrol boat scuttled in September 2012. The diving sites in this region are diverse and can be reached from both resorts within a maximum of 30 minutes. Tulamben is also located on the east coast. This diving spot is best known for the famous wreck of the U.S.A.T. Liberty. The shipwreck is 120 m long and rests at an angle of 90° at a depth of 3 to about 30 m, making it ideal for beginners as well as advanced divers. This wreck dates from the Second World War and was moved to its current position with the eruption of Mount Agung in 1963. However, the U.S.A.T. Liberty is not the only dive site near Tulamben. 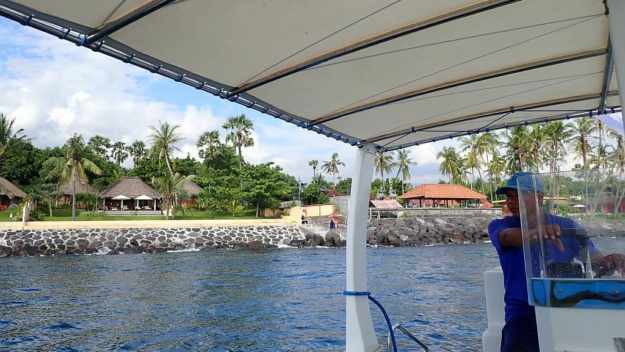 Likewise, Tulamben Drop Off and Tulamben Coral Garden are beautiful and popular dive sites. It only takes a few minutes by boat from Siddhartha and about 30 minutes by car to Alam Anda. Both centers operate there regularly. Situated south of Siddhartha on the east coast are Amed and Padang Bai. We approach them by car from both Alam Anda and Siddhartha. Once the site is reached, it is necessary to change to an outrigger boat to reach the current and abundant fish – rich dive spots like Amed Drop Off, Gili Selang, Jemeluk or Blue Lagoon, Gili Biaha, Gili Mimpang and many more. The islands Nusa Penida and Nusa Lembongan we visit in day trips. From the Resort we take a boat to Nusa Penida via the port of Padang Bai. The highlight of this diving region are the year-round manta rays, which can almost be guaranteed. During the months of July to September, there is also a very good chance to spot “Mola Molas” or better known as sunfish. We can provide the full range of diving highlights: Nusa Menjangan, Nusa Penida, Secret Bay, Tulamben, the wreck of the Liberty, Amed and much more. A combination between the resorts is the perfect way to experience all this in a more laid-back atmosphere. Which of the many resorts on Bali is most suitable for me? Of course, the budget plays a not insignificant role. Whereby Bali itself is not expensive. In comparison to other holiday regions, we have a very good price-performance ratio in Bali. From simple accommodations to an absolute 5 star plus luxury resort, there is everything you can imagine. 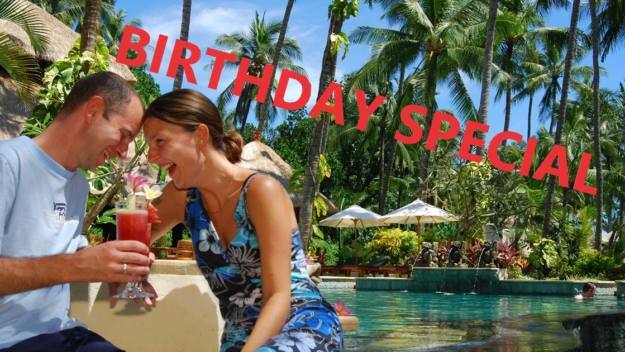 There are many other resorts and hotels in Bali that differ in price and facilities from our resorts. We have however experienced that the family atmosphere, the personal approach and the cultivated ambience of our resorts, make our guests return again and again. At all our resorts, we have a very high rate of repeat guests and predominantly guests from Northern European countries. And how is the weather in Bali during a certain month? The near equator is responsible for the tropical climate in Bali. The temperatures hardly change during the year. Throughout the hottest months of October and November the average daily highs are around 32° in the coolest months of February and March around 30°. The night-time lowest temperatures are also at a similar level throughout the year, around 22-23°. 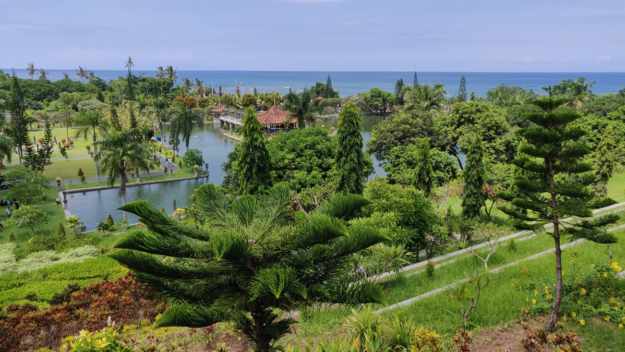 The mountainous region of Bali, which rises to an altitude of over 3,000 m, also enjoys a tropical climate with only slight changes in temperature throughout the year; however, the temperature is significantly lower here. On the summits, the thermometer can drop below ten degrees at night. During daytime it does not rise much higher than 20°C. 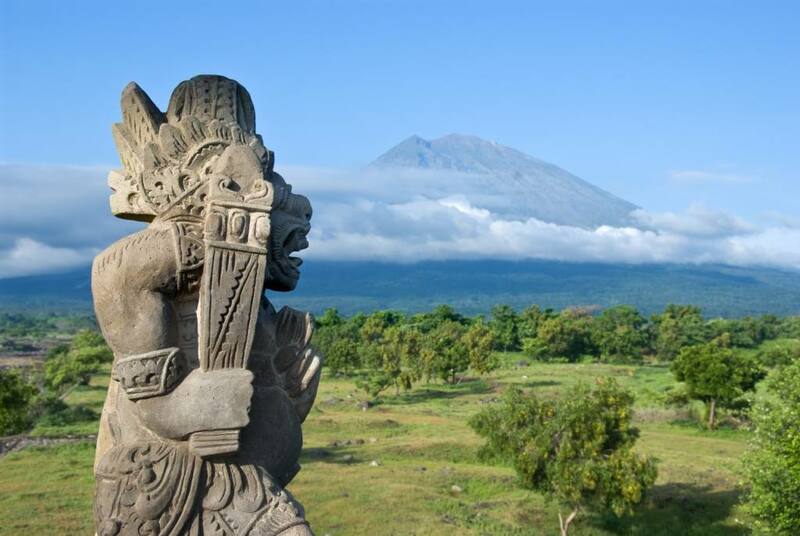 The climate on Bali is characterized by the different monsoon winds that lead to two seasons on the island. The Northwest Monsoon provides short, heavy rainfall during the rainy season, which lasts from mid/end of November to March. However, the rainy season does not mean that it rains all day long. On the contrary, short but very intense showers every two to three days are common. When the south-western monsoon prevails, it is dry season. The dry season usually lasts from April to mid/end of November. During this period, it rains only about 3-5 days a month. At which season is the best time to travel to Bali and what is there to see and when? How is the visibility? The perfect time to dive in Bali is all year round – although during the dry season (April – mid/end of November) you can expect calmer seas and better visibility than during the rainy season where visibility under water will be more reduced due to the rains and the choppy sea. What’s the water temperature in Bali like and which diving suit do I need? The water temperatures in the ocean around Bali are also determined by the tropical climate and are very constant throughout the year. They are almost never below 25 degrees and just as rarely above 30 degrees. A 3 mm to 5 mm thick wetsuit or shorty is perfectly sufficient. We recommend bringing or borrowing booties and fins because of the rather stony beaches so very typical for Bali. The possibilities are many and varied. All Werner Lau diving schools are located directly by the sea and have an interesting house reef with various entrances and exits. For each of the areas on the house reef, our assistants are at the guests’ side as they get in and out. You will also find the equipment carried by our staff. All of our house reefs are great for early morning and night dives. Several of Bali’s dive sites can only be accessed by car. The entrances always take place from the beach/shore. Again, help from local Balinese porters is available at any time. The gear is always put on near the water or even in the water. Most of the offered “2-Tank-Dives” take place from the shore. The Werner Lau Dive Centers offer daily single dives or two-tank dives to the dive sites of the region, with driving times from 5 minutes to 30 minutes. The departure times are between 07.30 and 08.30 and 13.00 and 14.00 and are adapted to the respective tide times on site. All resorts have their own boats, which are available for the local area. However, there are also full day trips that can be made by car from the respective resort. 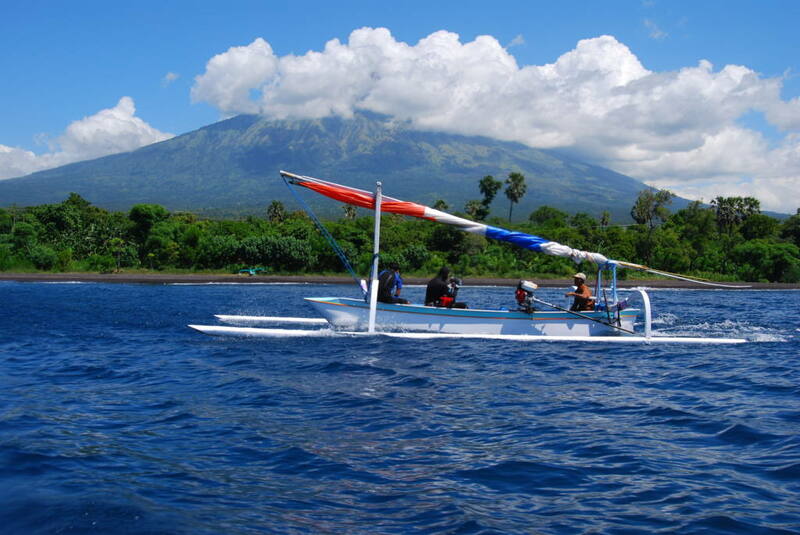 Some of the dive sites that are reached by car require a further trip with the typical Bali outrigger boats “Jukung”. 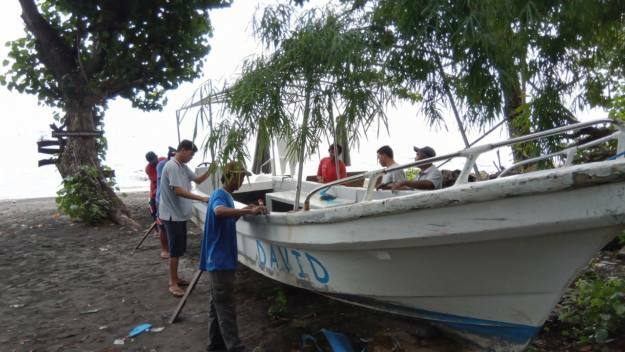 The boats are loaded from the beach and the divers can enjoy an excursion with these traditional fishing boats. Is it possible to dive in Bali as a beginner? For sure. Most dive sites in Bali are easy to dive compared to other dive destinations. Many of the dives take place from the shore and are mostly protected from currents and easy to dive from the navigation point of view. Thanks to the plankton and nutrient-rich water and the reef specifications, Bali offers a rich and worth seeing fish and coral world even in the shallower depths. If you are an insecure or inexperienced diver, you will always be accompanied by a dive guide or instructor. Is it possible to learn diving in Bali? It goes without saying that you can learn to dive in Bali – very stress-free and simply. 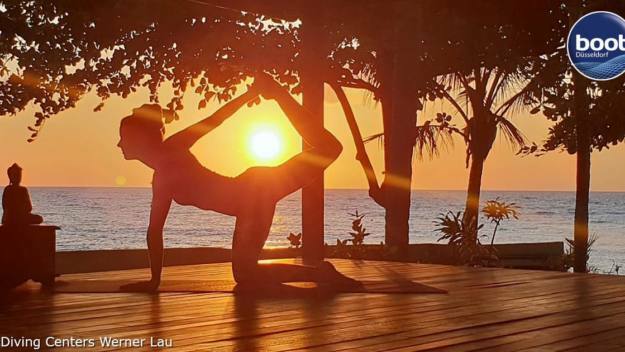 Werner Lau has already been teaching this in the Maldives and is also doing training in small groups in Bali. A group of no more than two students will be assigned to one instructor, so that an exceptionally individual training is guaranteed, and the strengths and weaknesses of each student can be improved individually. The benefits are that you can learn to dive in warm water and a relaxed atmosphere in 3 to 4 days. Siddhartha even allows you to take advantage of the influences of yoga techniques. Theoretical sessions can also be comfortably completed online on the couch at home. Anyone who has completed the Open Water Diver with us goes home with an internationally recognised certificate and is therefore welcome at any diving center in the world. We train alternatively after SSI, PADI or CMAS. All diving certificates are absolutely equivalent. What about the insurance in Bali, how is the medical care in case of a diving accident and do I need a diving physician’s certificate? A personal diving accident insurance is not mandatory, but recommended. There are several international providers (e.g. DAN, AquaMed, DiveAssure, VDST). We recommend that you take out such an insurance, as the necessary treatments are usually not covered by the usual travel insurances. The diving bases and also the diving instructors are of course insured against liability. The medical care in case of a diving accident is very well regulated in Bali. There is a very well-equipped decompression chamber in the Balinese capital Denpasar. It is located in the large modern hospital Sangla and is easily accessible by car. However, the “journeys” in the decoration chamber are not exactly favourable. Therefore, the conclusion of a diving accident insurance is urgently recommended. For the first aid both the diving boats and the bases are well equipped with oxygen, emergency radio and first aid kit. Our staff is trained regularly and knows exactly what to do and when to do it. Thankfull accidents happen very, very rarely. A medical examination by a diving doctor is always recommended for participation in diving courses or later dives, but only legally required in Bali if one or more questions in the medical questionnaire are answered with “yes”. In your own interest, however, we recommend that you be medically examined by a diving doctor before your trip and have a corresponding certificate issued. 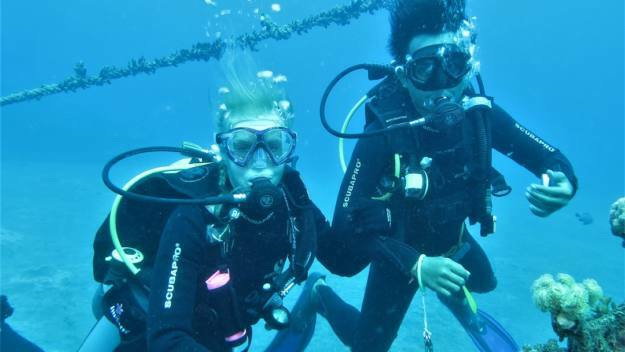 Is it worth booking diving packages or diving courses in advance? 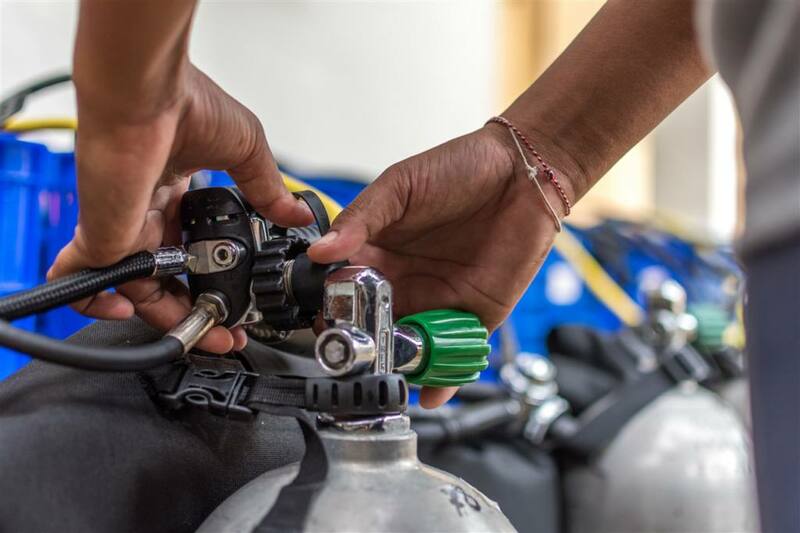 Dive packages or dive courses are about 20% cheaper in advance booking than locally and therefore the advance booking of dive packages and dive courses is worthwhile in any case. 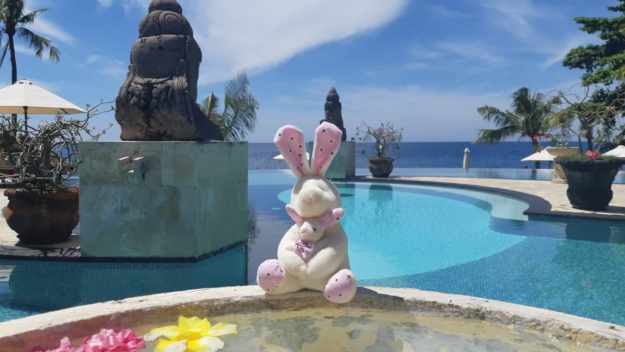 In addition, we are very flexible with the distribution of dive packages on Bali, because many guests have not only come to dive on the island, but also want to go on day trips. Bali itself has a total area of 5780 m² and is ideal for combining diving and travel. A lot of places on the island are still untouched and show you Bali in its original splendour. 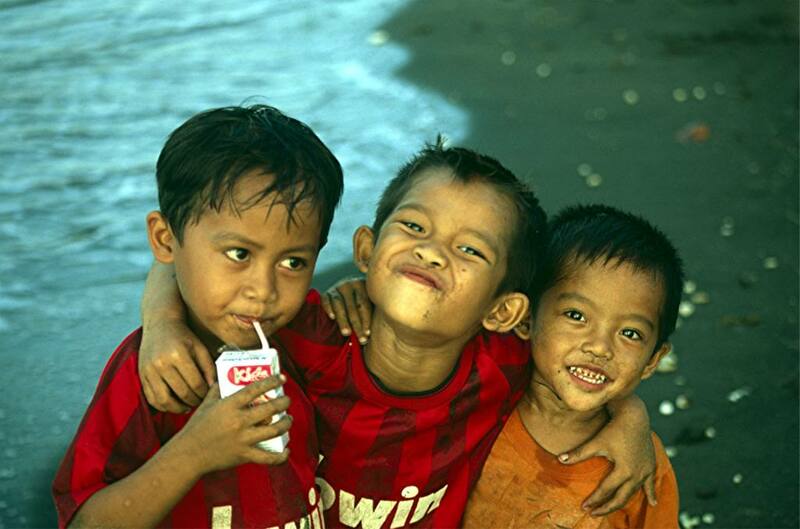 The Balinese themselves are one of the friendliest peoples in Southeast Asia. Particularly in areas, in which the tourism is not so developed yet, one is greeted constantly by locals on the street, young children are waving to you and in general, one is constantly smiled at. It may also happen that you are invited to the beach by an Indonesian family to sit down and eat with them. Like that! Hospitality is very important in Bali. Four star insider tip with a cult status in the North-East of Bali. An exceptional resort with an informal atmosphere! Luxurious boutique-hotel with stunning architecture in a fabulous setting available at a very fair price! 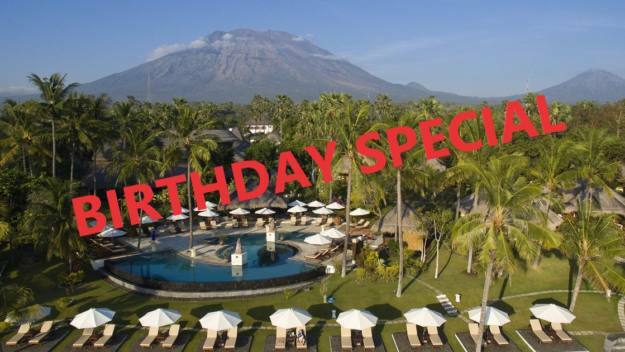 Exclusive five star resort built in typical Balinese style in the North-West of Bali! 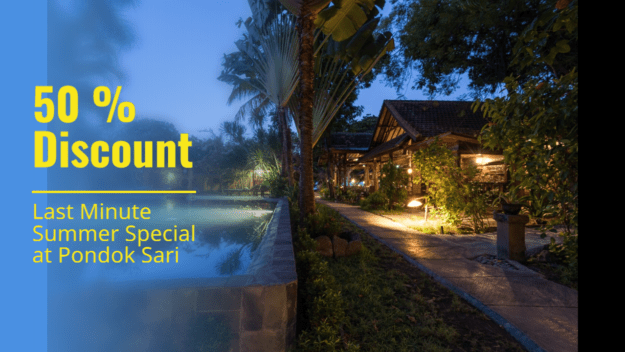 Built with traditional local architecture, this comfortable three star divers’ hotel is located in the North-West of Bali! 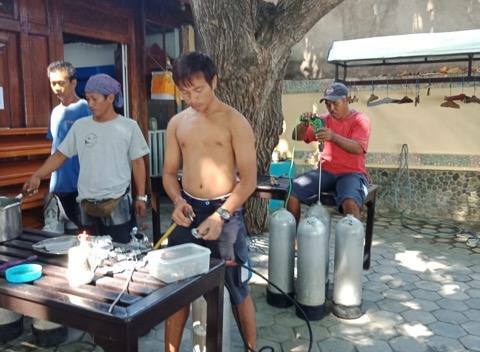 Blog Pondok Sari - 01.04.2019 All diving cylinders are cleaned and checked every year. While our ladies did not find the other craft activities suitable for themselves, they like to be part of this responsible job.